Richard Hoshino is a tall, slim mathematician, as tightly wound as a precision timepiece, and irrepressibly polite and cheerful. He also has a hard time taking “no” for an answer. Eager to share his love of math and its practical applications, Hoshino is committed to helping solve real-world environmental problems using mathematics — for example, in the area of sports scheduling. 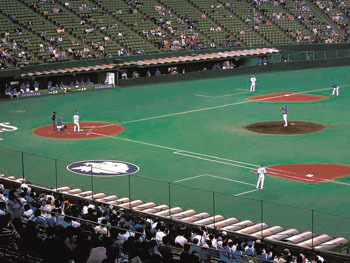 Using mathematical techniques (nearly unfathomable to this writer), Hoshino and his research supervisor, Ken-ichi Kawarabayashi, at the National Institute of Informatics, have developed a distance-optimal schedule for Nippon Professional Baseball that takes into consideration many of the league’s constraints, while reducing total travel distance by 25 percent, or about 70,000 km. NPB, made up of the Central and the Pacific leagues, is Japan’s largest and best-known professional sports league, with annual revenues topping $1 billion dollars and 22 million fans attending games each season. 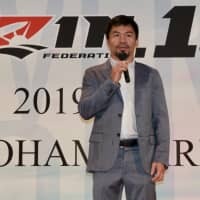 “Although Japan is a small island country, the teams travel over 280,000 km to play their regular-season schedules, the equivalent of seven trips around the Earth,” Hoshino explained in an e-mail. 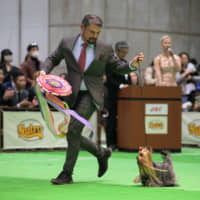 “My supervisor and I have become experts in scheduling theory, especially with the direct and practical success of optimizing the NPB schedule. But for me, it’s not enough to be writing research papers. 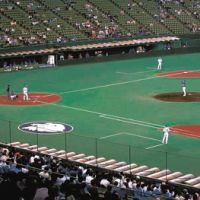 I know a group of mathematicians have been working with Major League Baseball since 2004 to create efficient regular-season schedules, and naively hoped I might be able to do the same here in Japan, especially given my passion for environmental sustainability,” he wrote in his first of several e-mails, hoping I might take up his quest in this column. Hoshino had already been in touch with my colleague, Wayne Graczyk, who covers baseball for The Japan Times, and Wayne had graciously put him in touch with a contact in the NPB Commissioner’s Office. He and his supervisor didn’t make much headway at first, however. “I had two phone calls with the head scheduler for the Central League. 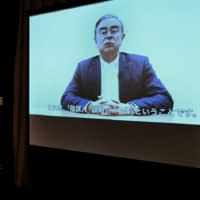 I described how our solution is practical and simple to implement, how it would enable the NPB to demonstrate progress on their ‘Green Baseball’ initiative, saving millions of dollars in reduced travel and energy costs, while cutting greenhouse gas emissions,” he explained. Apparently, though, the promise of lower costs and greener baseball did not appeal to the NPB scheduler. He refused to meet with Hoshino, insisting that the scheduling parameters were far more complex than the researchers understood. As Hoshino tells the story it’s clear he saw this rejection as a challenge, not an end to the conversation. “We took some additional parameters into consideration, such as a balance of home games on weekends and weekdays and playing only two opponents on road trips, and reworked our model, generating over 9 million schedules that matched these constraints and proposing intra-league schedules for the Pacific and Central Leagues that would cut the total travel distance by 10 percent and 21 percent, respectively,” he explained. Still, the league wasn’t swinging. “After I explained all this in my second phone call, the head scheduler tersely insisted that he was ‘too busy’ and ended the call,” he said with a broad smile. I haven’t met many professional mathematicians, but I’m guessing Hoshino, 34, is rather unusual. A Canadian by birth, he has undergraduate and graduate degrees in mathematics from Waterloo and Dalhousie universities, respectively. In high school he entered the 1996 International Math Olympiad, one of six members of the Canadian team. It came in 16th and Hoshino won an individual silver medal. “I googled every university in Tokyo and sent e-mails to various professors who had similar research interests,” he said, but only one responded. 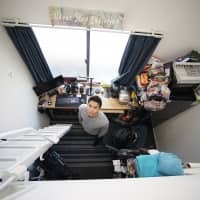 One was enough, though, and Hoshino joined the National Institute of Informatics lab of Kawarabayashi, who at 37 is one of Japan’s leading young scientists. He began as a part-time research assistant, but once Hoshino started getting publishable results he received a full-time postdoctoral fellowship from the Institute. Last November he received a second fellowship from the Japan Society for the Promotion of Science. Kawarabayashi is one of Japan’s top graph theorists and has published over 140 research articles. Together they have published nine on scheduling theory, and another is due out later this year. Only two years have passed, but Hoshino has been snapped up by a university back home and in January he will begin a job as a mathematics professor at Quest University Canada in British Columbia. As you might imagine, all of this began with an “Aha!” moment. “Shortly after being hired at NII in June 2010, I was riding a train and reading the Chiba Lotte Marines schedule. I realized how inefficient it was, that the team could save a lot of time and money by reordering games-playing consecutive series against teams whose home stadiums were located close to each other,” Hoshino explained. Since that flash of insight, Hoshino and Kawarabayashi have used Graph Theory to develop theoretical techniques to optimize sports schedules, including for the 12 teams of NPB. Having generated a distance-optimal schedule for NPB, Hoshino felt it was show time. A call to Graczyk’s contact at the NPB Commissioner’s Office led to two phone calls with Kazunori Ogaki, the Director of the Central League and also its head scheduler. Hoshino described how a distance-optimal schedule could significantly reduce travel and energy costs and cut greenhouse-gas emissions. Two phone calls and hours more time spent writing computer code, and still the NPB wasn’t convinced. Still, Hoshino kept pressing and finally, eight months after his first call to the NPB, the researchers got an appointment to meet Ogaki. Having exchanged e-mails and met with Hoshino, I imagine Ogaki eventually gave in to Hoshino’s boundless enthusiasm for mathematical solutions to prickly problems; in this case, scheduling that Ogaki has done for years by hand. The researchers met with Ogaki three times in September, each for several hours. “Ogaki-san was astounded by the strength of the computer program we wrote. Based on the theory we invented, we input the information they give us and within four minutes our program generates schedules that satisfy all of the constraints, while ensuring that each team has the same number of weekday and weekend games,” reported Hoshino. “I was shocked that the NPB does this by hand — and they’ve been doing it this way for decades, and this manual six-week process is done by the director of the Central League, one of the most senior people in the head office. In Major League Baseball they hire a team of mathematicians to produce their regular-season schedules. “My program produced about 80 schedules satisfying all of their scheduling constraints, and I printed off the top seven, which were the best in terms of reducing the number of train trips and the total travel distance. Any of these schedules, if implemented for the 2013 season, would reduce Central League team travel by about 10 percent, as compared to the 2012 schedule,” Hoshino added. 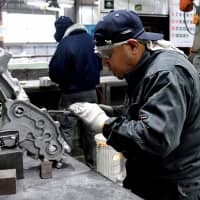 “Unfortunately, our mathematically-optimal approach going for an economic-environmental win-win was rejected by the Central League team representatives,” said Hoshino. Perhaps, but he seems to have influenced baseball’s old-boy network after all. “The 2013 Central League schedule is much better than this year’s, as it reduces the total distance by 6,000 km, approximately a 7 percent reduction, and uses 12 fewer trips, a 6 percent reduction. 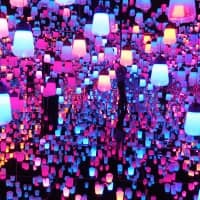 I’m glad to see they used some ideas from our research, but they didn’t use other recommendations and as a result the final schedule is much worse than it should be,” observed Hoshino. 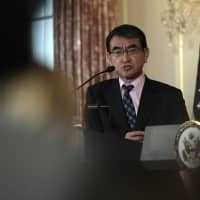 “We want to demonstrate how mathematics can do something positive both economically and environmentally, especially in Japan’s postearthquake reality,” he told me — but first Japan’s old guard has to be willing to listen. Perhaps Ogaki of the Central League, or someone from the Pacific League, will wise up and give Hoshino a call next year. Certainly other leagues elsewhere will be in touch. But they should hurry, before Hoshino climbs aboard another train and races off in pursuit of a unique, new area of mathematical expertise.